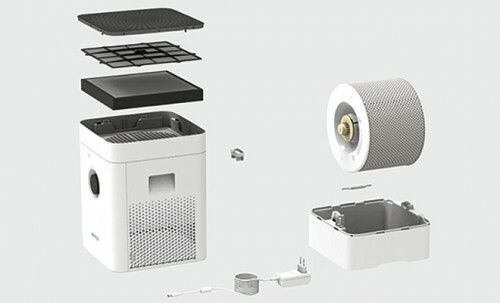 Multitalented for excellent room air: Humidifier & Purifier in one. Convenient handling, high performance and easy to clean – these are features of the HYBRID H300. 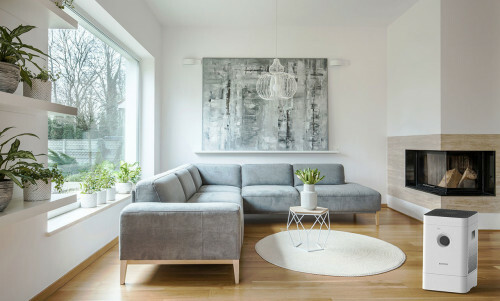 It takes care of providing the ideal humidity within your four walls. 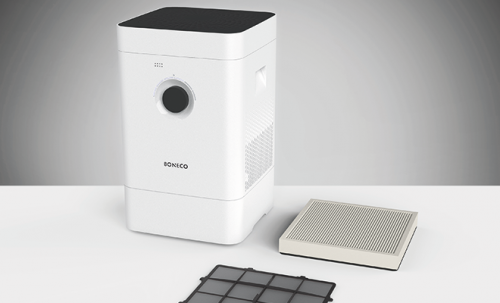 At the same time, the innovative, integrated filter cleans the room air and alleviates discomfort for people with allergies. 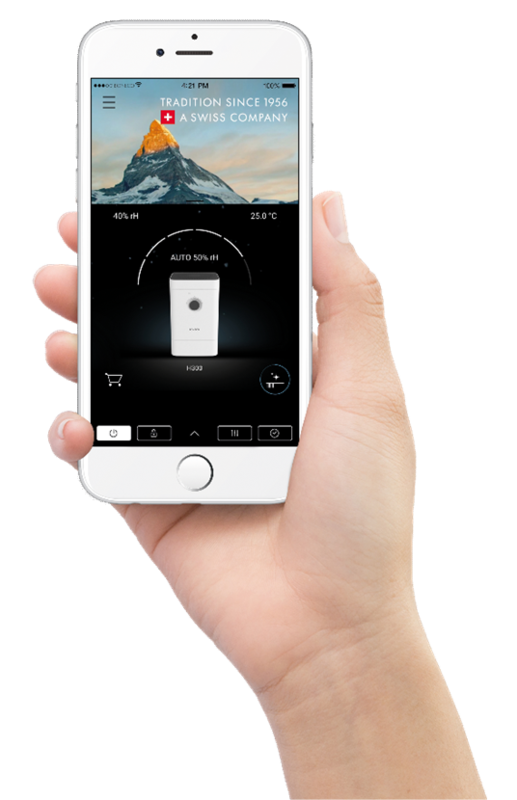 Thanks to an integrated sensor, this appliance measures air quality in real time and automatically adjusts its evaporator output. 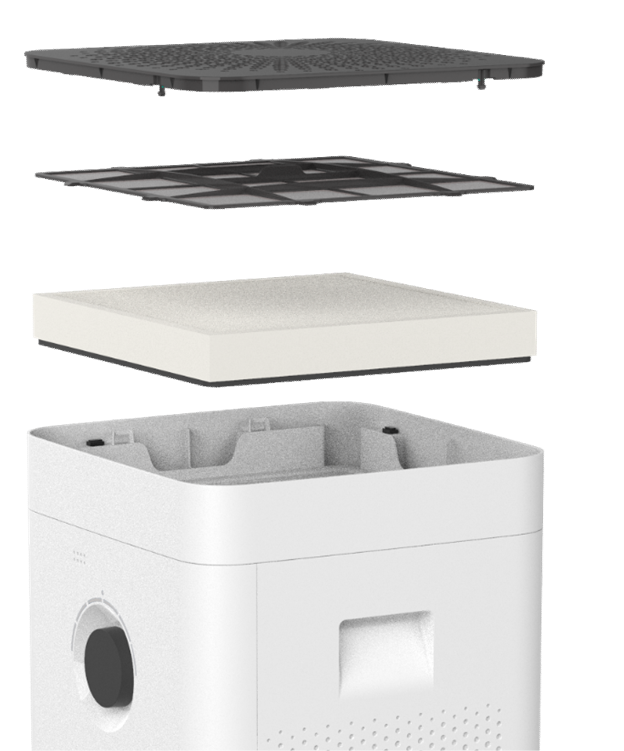 The HYBRID H300 provides for real well-being in your house! 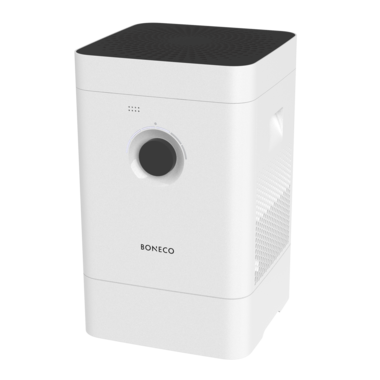 The appliance can be operated directly using the control knob, and the BONECO app is available for additional functions: Simply set the desired humidity at which you feel best, and the H300 takes care of the rest. 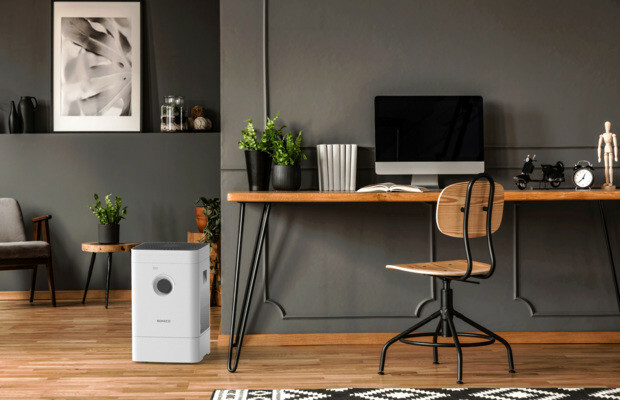 It doesn't matter what you wish for: higher humidity in the colder winter months, purified air during the pollen season or both – the H300 can provide exactly what you need. 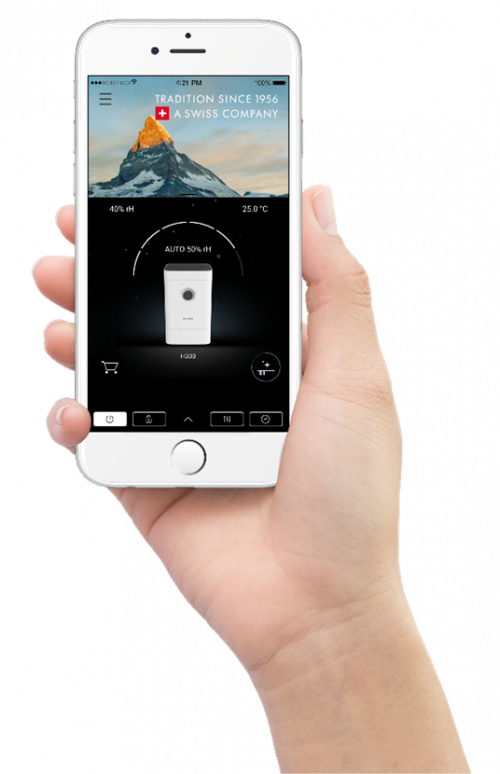 Choose the mode you want in the app (Hybrid, Purifier, Humidifier) and improve your air quality. In addition, various profiles are available for selection: The SLEEP profile supports restful sleep at night, and BABY creates pleasant conditions while your child is dreaming. Thanks to the integrated aroma compartment, you can fill your home with your favorite aroma. In addition to making the unit convenient to operate, the designers also thought about making it easy to clean – most of the parts can simply be put in the dishwasher or washing machine, saving you from spending time scrubbing by hand. The understated and modern design of the H300 fits in every living room or office, and customers value its exceptional performance. 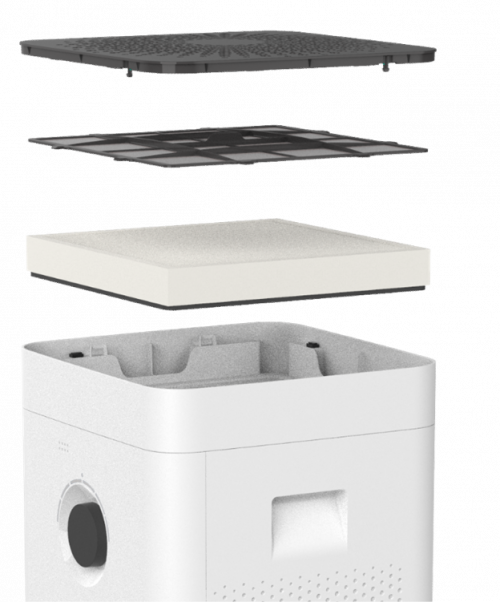 Depending on requirements, the HYBRID system can be used either as a humidifier, an air purifier or a combination of both. 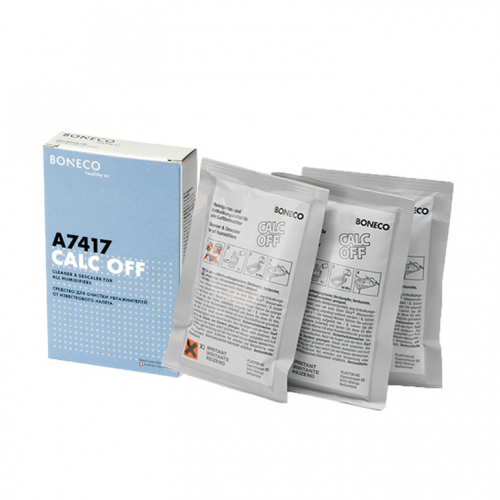 A permanent pre-filter stops hair, household dust and other larger dirt particles. 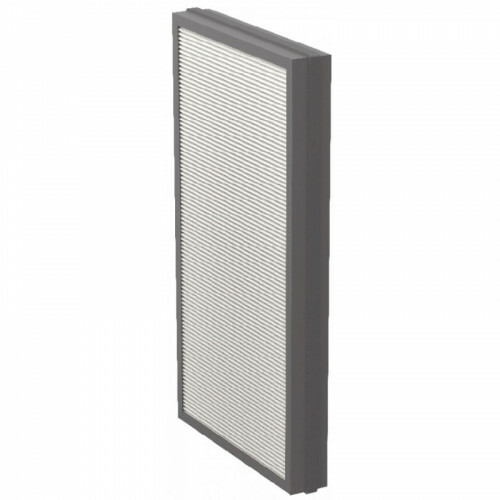 The downstream filter reduces nearly all viruses and absorbs bad odors. Last but not least, the evaporator mat is responsible for air humidification.